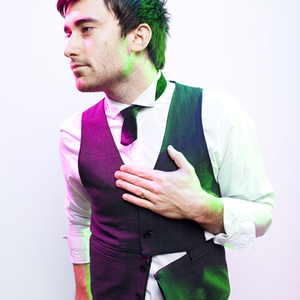 Phil Wickham is a Contemporary Christian music vocalist/songwriter and guitarist from California. Wickham has released six albums, Give You My World in 2003, a self-titled album in 2006, Cannons in 2007, singalong in 2008, Heaven and Earth in 2009 and Response in 2011. Born in Orange County son of well-known worship leader John Wickham. He moved to San Diego in the middle of junior high school, which spawned his career. Asked by his youth pastor to lead worship at the age of 12, Wickham accepted, encouraged by his father then a worship pastor at Chuck Smith's Calvary Chapel Costa Mesa. Born in Orange County son of well-known worship leader John Wickham. He moved to San Diego in the middle of junior high school, which spawned his career. Asked by his youth pastor to lead worship at the age of 12, Wickham accepted, encouraged by his father then a worship pastor at Chuck Smith's Calvary Chapel Costa Mesa. By 18, Wickham had released his debut CD, Give You My World, including the hit song "Shining." Surprised by its good reception, he began working on twelve new songs for his self-titled album, which was released on April 25, 2006 with Simple Records.Wickham's second release with Simple/INO Records, Cannons, was released in 2007. Cannons was inspired by cannon explosions and C.S. Lewis's book, The Voyage of the Dawn Treader from The Chronicles of Narnia series. Wickham stated in an interview with ChristianityToday.com that the album is "about how the universe is exploding with the glory of God, and how we are compelled to join in with its song." The 10th track from Cannons, "Jesus Lord of Heaven", has been translated into seven different languages. On August 8, 2008 Wickham released a live worship album titled singalong, recorded at Solid Rock Church in Portland, Oregon with 3000 fans present. The album was released as a free download, only available from his website, and received over 8,000 downloads within a week of being released. After the release of his singalong album, his self-titled debut climbed to No. 25 on iTunes Top Christian Albums chart (2 years after its initial release). Wickham visits churches across the nation to play his music. He recently (June 2008) performed at the Frenzy one-day Christian music festival, in Scotland.